Mikey Garcia insists he's deadly serious about Errol Spence fight: You guys think it's a joke but I'm gonna do it! Current lightweight titlist Mikey Garcia, who won his first world title down at 126 pounds, caused quite a buzz a month or so ago, when he informed RingTV.com that he is deadly serious about moving up from 140 to tackle reigning IBF welterweight champ and fellow pound-for-pound entrant Errol Spence this year: “I want to do that in December,” the unbeaten Garcia told the website of The Bible of Boxing back in June. Here we are closing in on Garcia’s interesting and possibly hard July 28 unification clash with rival 135 pound champ Robert Easter, and Mikey has not changed his mind one bit. Deadly serious that yes, he does want Spence and how he knows full well what he’d be up against if the fought “The Truth,” Garcia spoke with Fight Hub TV. If Garcia does a number on Easter (who holds height and reach advantages over Garcia) and looks good in winning, will fight fans buy the idea of a Spence-Garcia fight? It’s an intriguing one, that’s for sure. Spence looks pretty much unbeatable right now, but the same could be said of Garcia. The big difference is of course the weight between the two pound-for-pound entrants. If Garcia could actually make his dream come true and defeat Spence, he certainly would accomplish a quite amazing feat. Garcia deserves our full respect for daring to be great. Really great. But does Spence want the fight, and what does the Texan southpaw have to gain from this match-up? Could it actually happen before the end of the year? 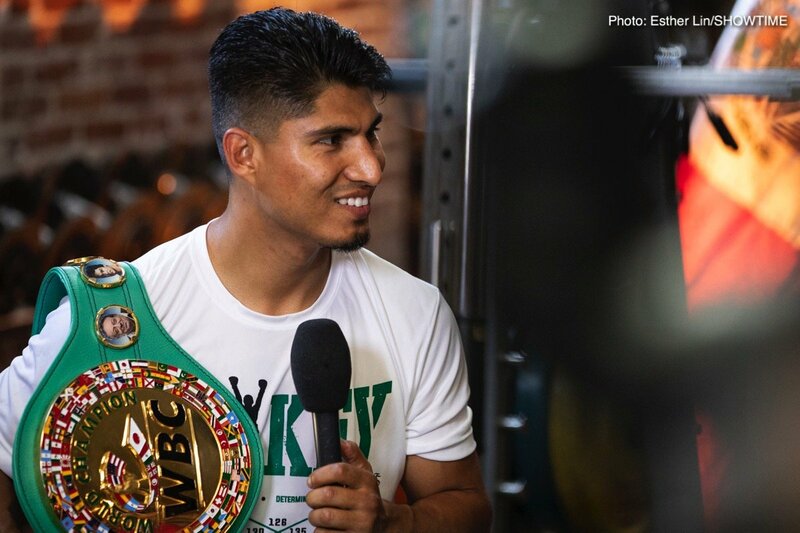 You are here: Home / Boxing News / Mikey Garcia insists he’s deadly serious about Errol Spence fight: You guys think it’s a joke but I’m gonna do it!